Vines and vineyards have a rich storied history. From the Middle East to France and beyond there is evidence of wine production dating back to 4,000 BC and beyond with numerous Biblical references celebrating vines…..talk about “Da-vine” intervention. I use grapevines on fencing in my yard, not for the production of grapes, but rather the aesthetic feel it provides in my landscape. The same can be said for Hops (Humulus lupulus). 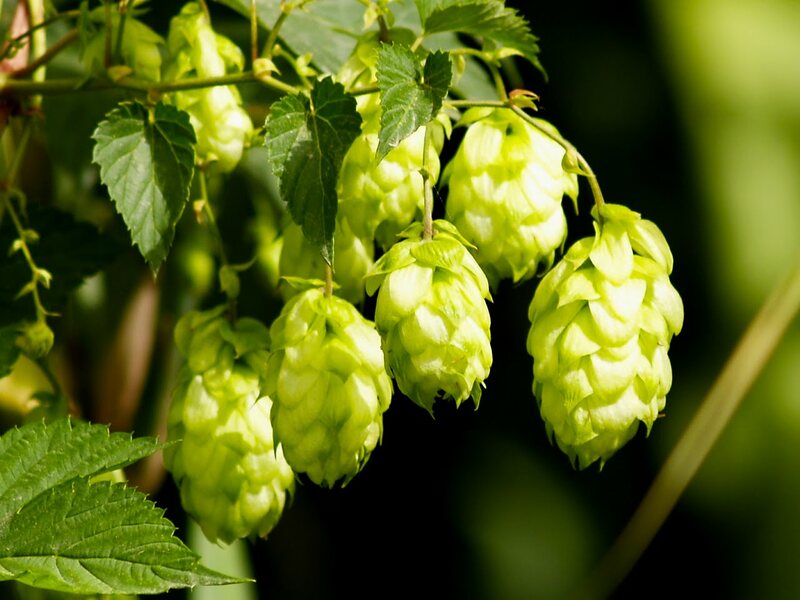 With the interest in craft beers, growing hops not just for production but their ornamental qualities has become popular. Hops are an herbaceous perennial easy to grow. Provide sunlight and plenty of support and by August and September the presentation of foliage and “nuggets” (hops) can be quite spectacular! Hops like a rich, well-drained soil, so till deeply with good organic matter for best results. For days of “vine and roses” here are some vines I suggest you try in your landscape to get growing. 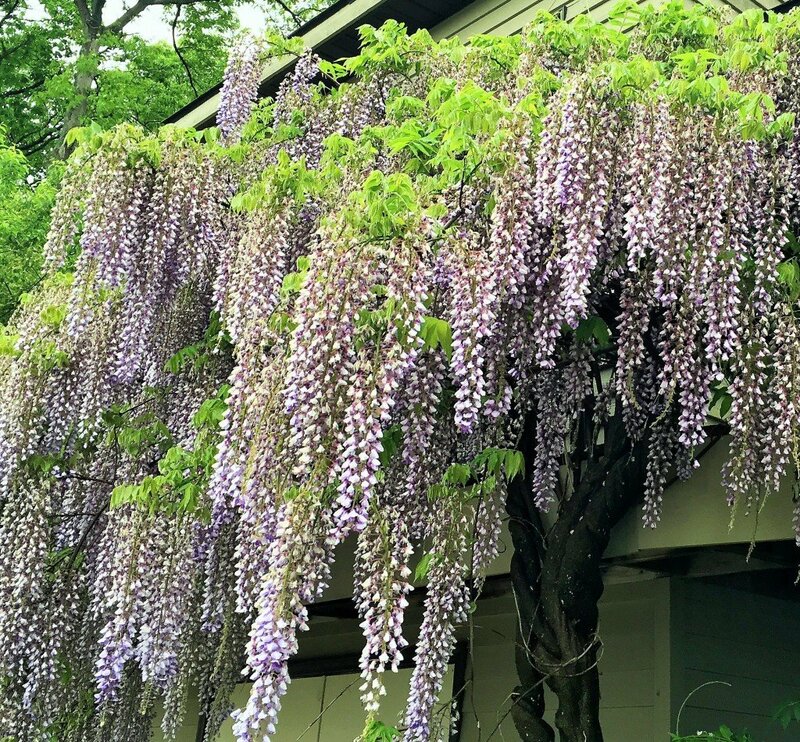 The wonder of Wisteria….a showstopper! • Clematis. 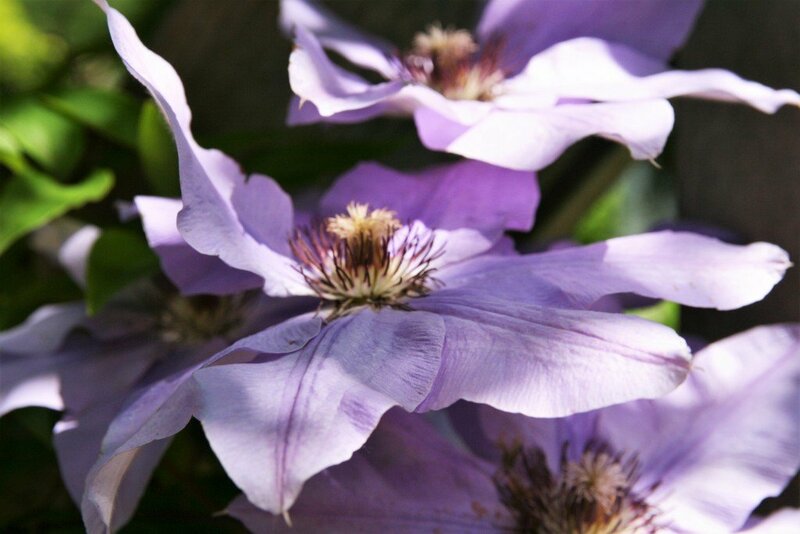 The key to Clematis is “cool roots and hot tops”. This blooming vine is notorious for its presence at mailboxes and on lamposts. Mulched at the base with organic matter in the soil in a sunny area the flowers are simply gorgeous.